Instagram is taking action against trolls and bullies. The social media giant on Tuesday rolled out new machine learning tools that are able to 'proactively detect' bullying in photos and captions. It's expected to arrive on the app in the coming weeks, according to the firm. Instagram already uses AI to filter out comments that violate its Community Guidelines, but this feature takes it a step further. The algorithm ranks and rates images and captions to detect bullying in photos. For example, it can detect if a photo is criticizing a person's appearance or character, as well as if the photo is making a threat to someone's wellbeing. Once a photo is flagged, it's sent to Instagram's human moderators for further review. 'This change will help us identify and remove significantly more bullying — and it’s a crucial next step since many people who experience or observe bullying don’t report it,' Instagram CEO Adam Mosseri wrote in a blog post. The firm is also extending its bullying filter to live videos. 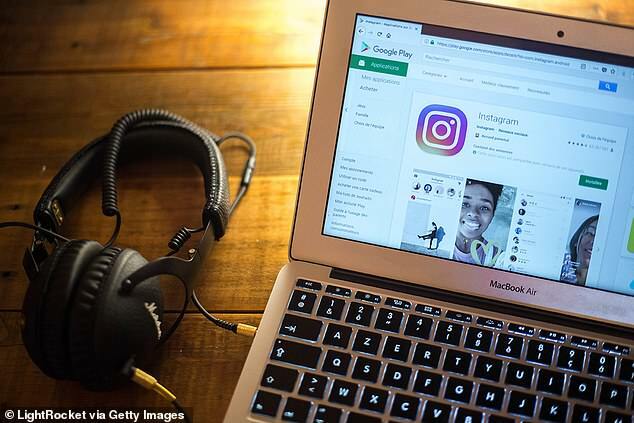 Starting Tuesday, Instagram will be able to block offensive comments on live videos to make sure it 'remains a safe and fun place to authentically connect with your friends and interests,' Mosseri said. Filters on live videos are now available globally, according to the firm. 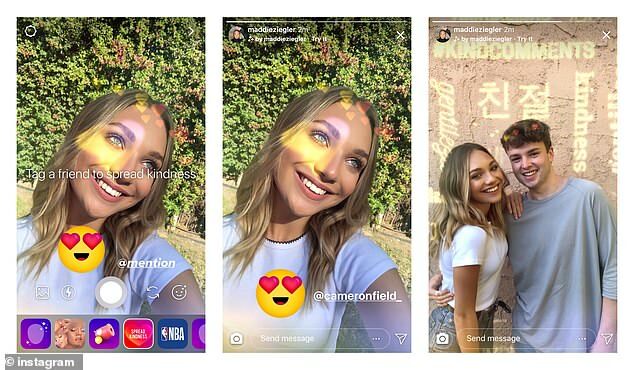 Instagram partnered with teen author and actor Maddie Ziegler to unveil the camera effect, which places hearts all over the user's face. Users tap the face icon located in the tray of Instagram effects at the bottom of the screen. Once hearts appear on the user's face, they'll be encouraged to tag someone they want to support. The friend will then receive a notification saying they've been tagged. If the user has the rear-facing camera turned on, they'll see the word kindness overlaid on the background in different languages. To access the kindness filter, users have to either follow Ziegler on Instagram or tap 'try it' when someone else uses the effect in an Instagram Stories post. While stopping bullies is important, we must also do more to celebrate and inspire kindness on Instagram,' Mosseri explained. Separately, the post marks Mosseri's first dispatch as CEO of Instagram since he took over late last month.